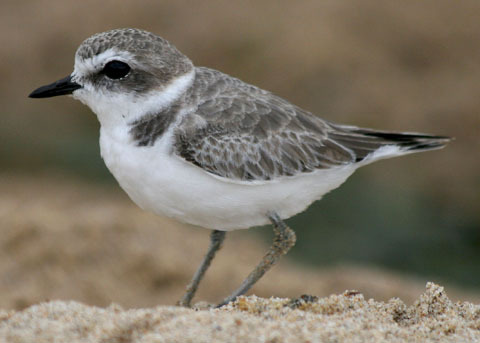 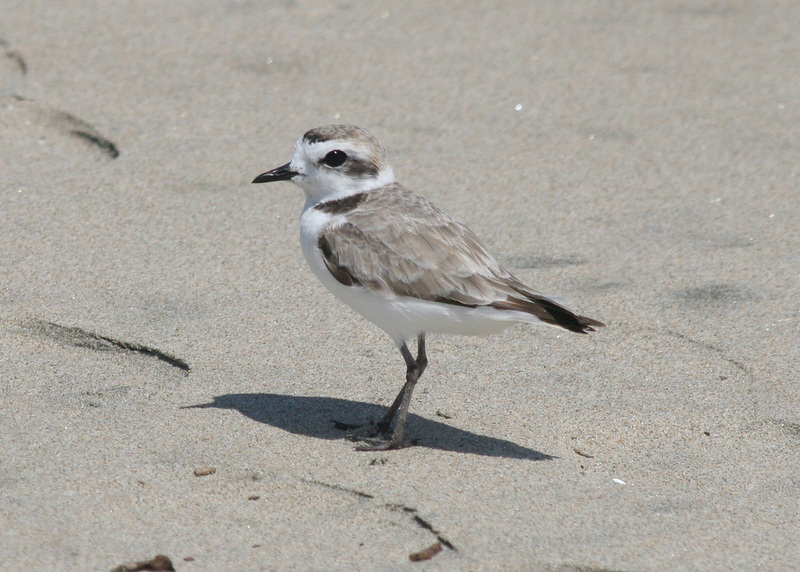 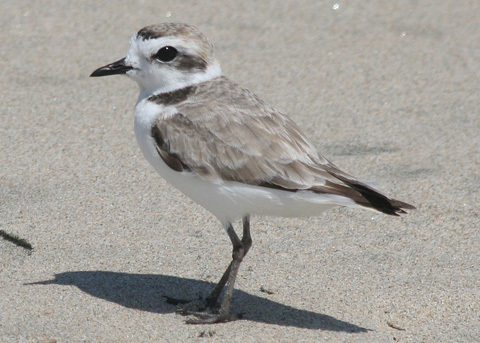 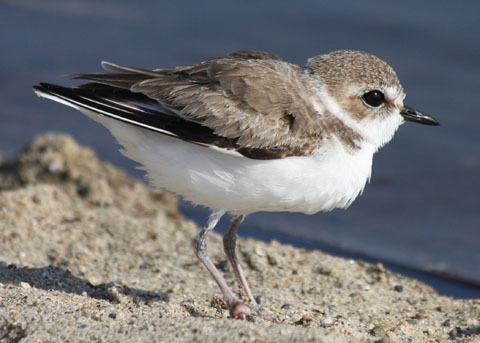 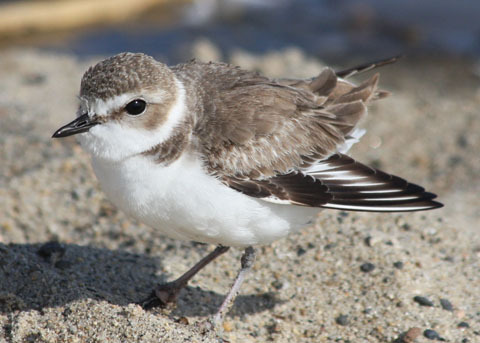 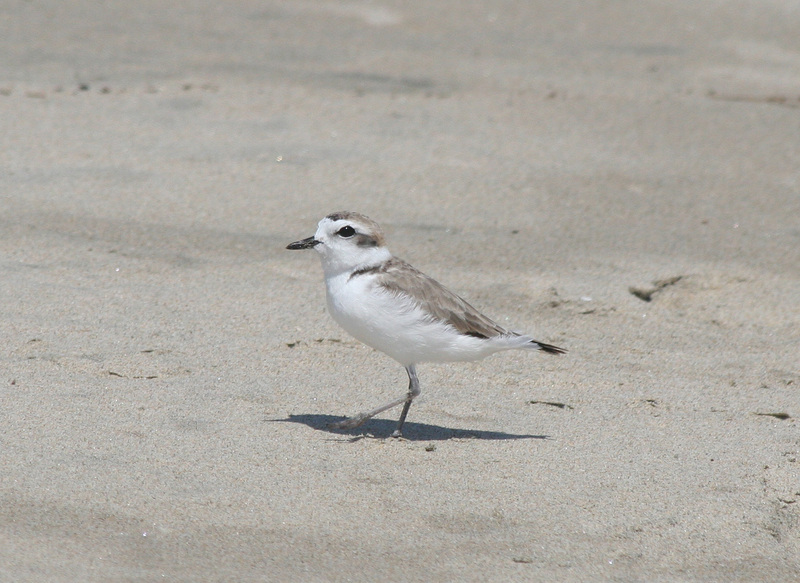 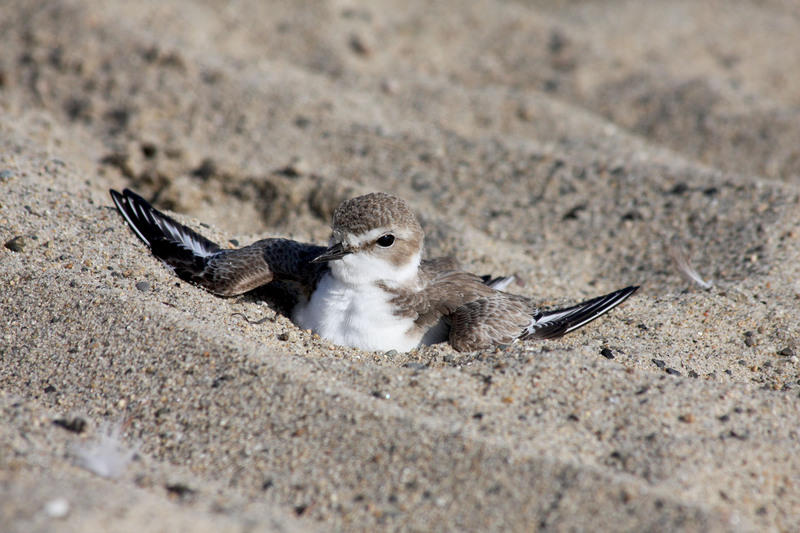 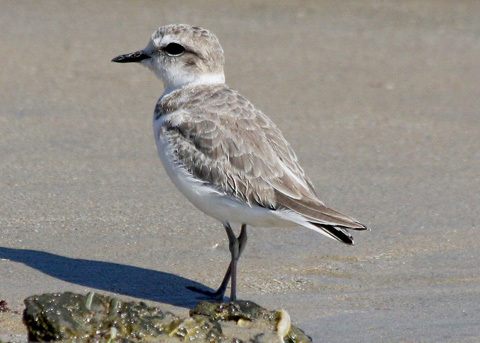 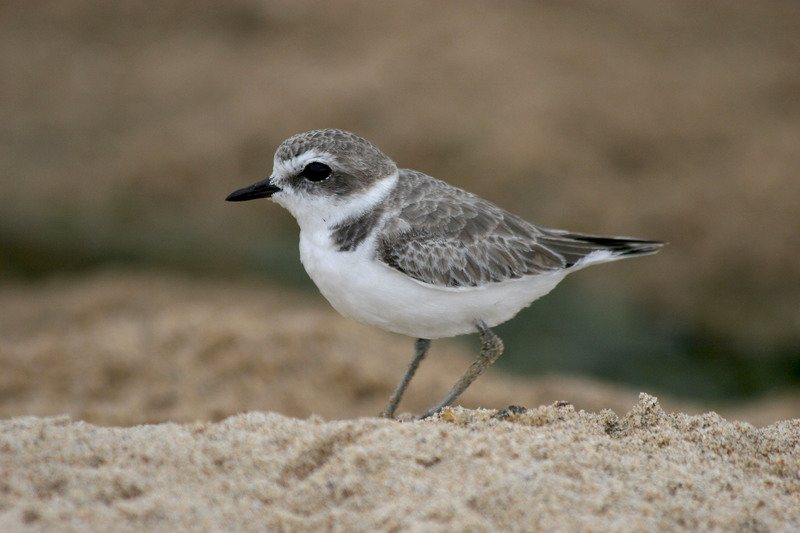 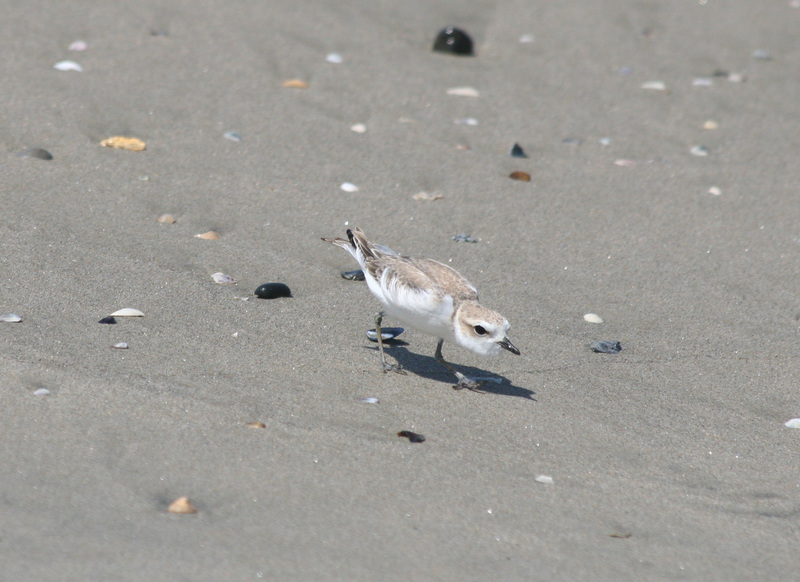 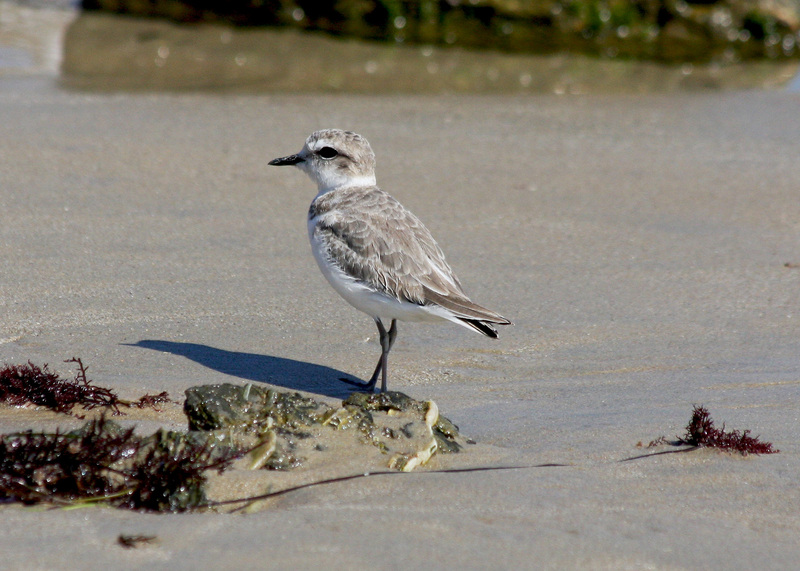 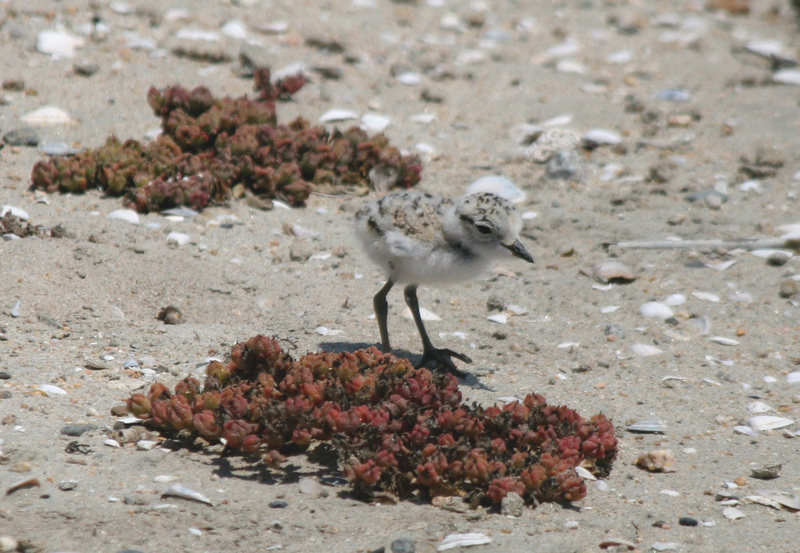 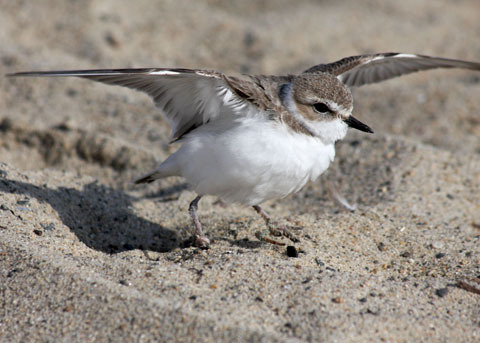 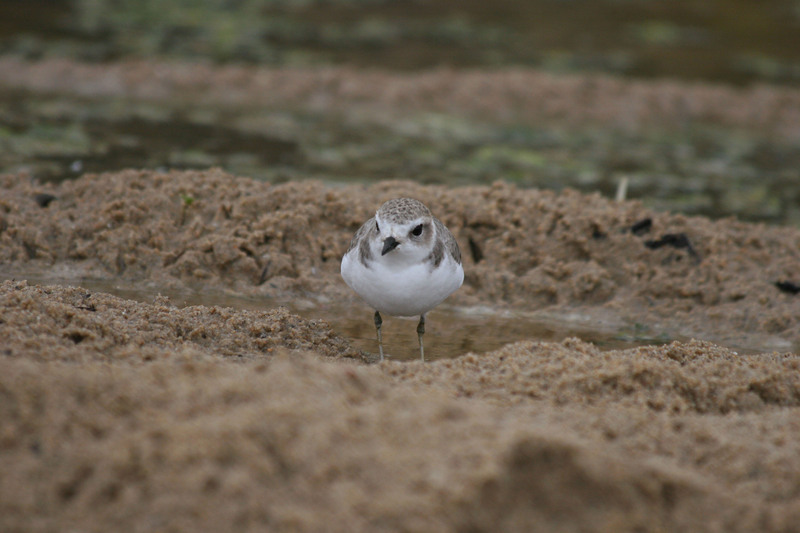 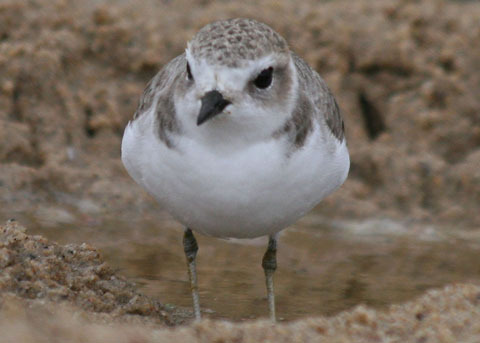 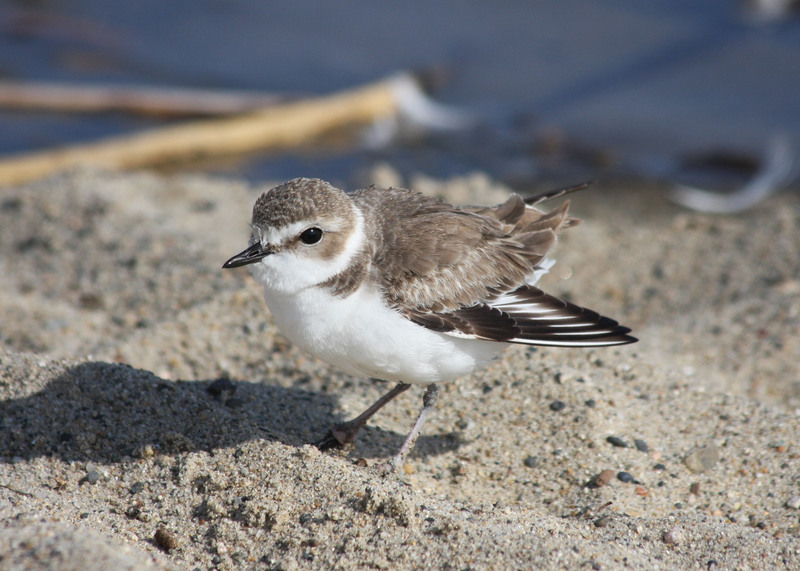 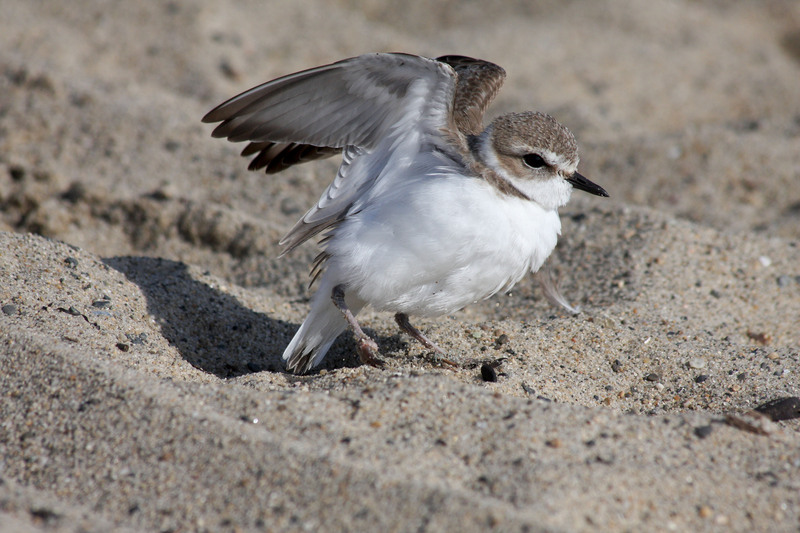 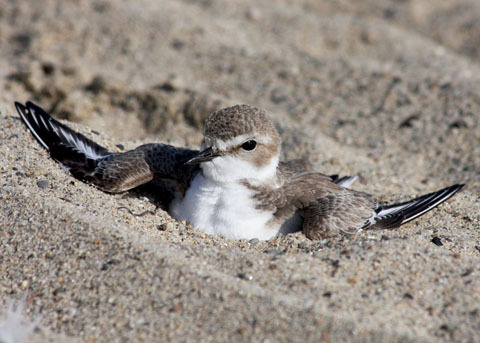 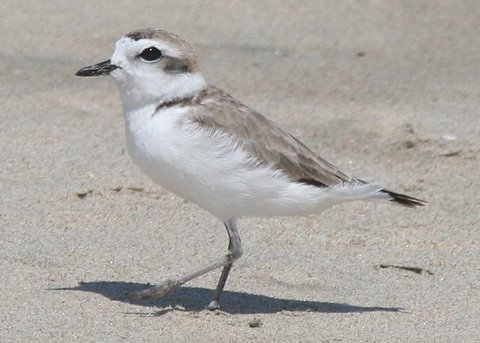 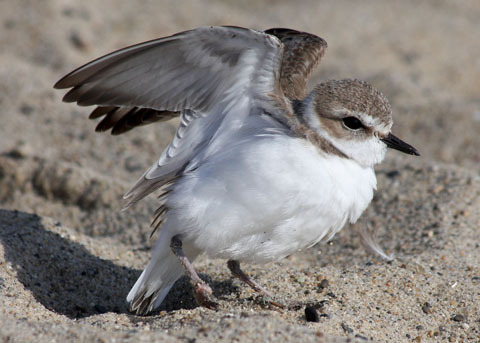 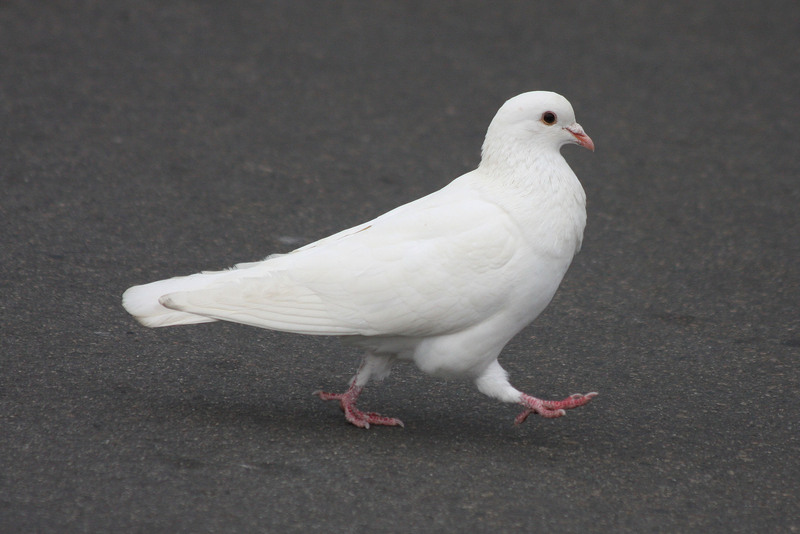 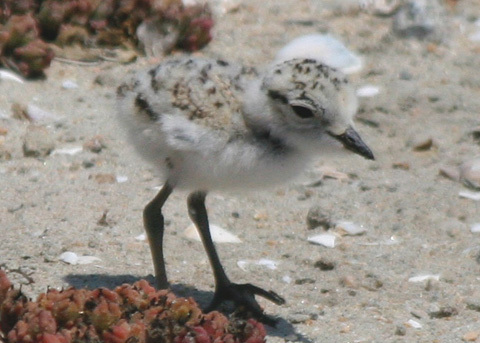 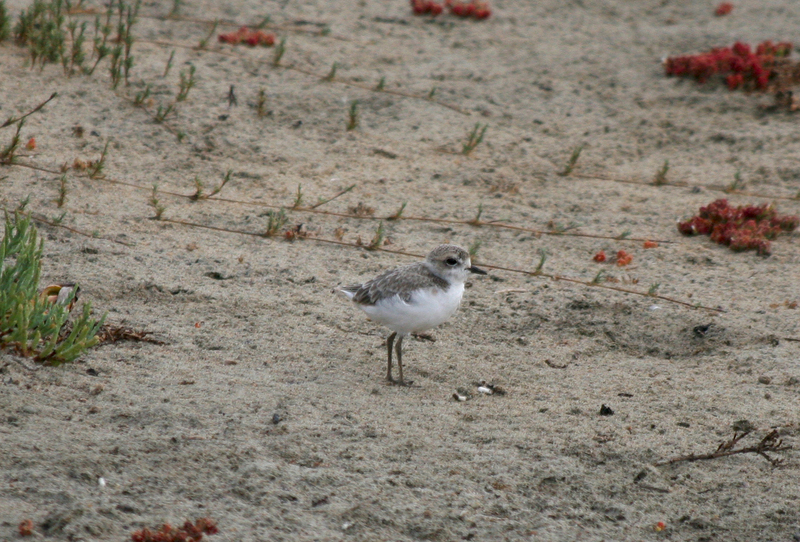 Notes: a small light-colored plover of outer sandy beaches and barren ground; frequents dry but not wet mudflats; similar to Piping Plover which replaces it in northern and eastern North America; in 1993, Snowy Plover was listed as a threatened species due to its low population size (ca. 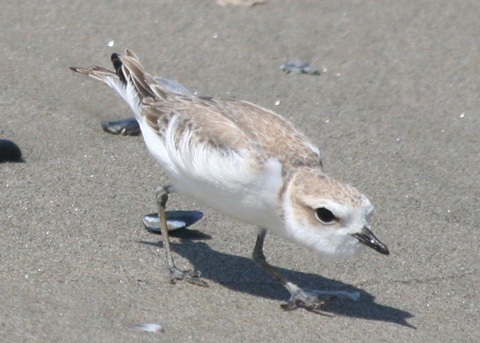 2,100 birds total) and decreased habitat; nests along shores, bays, estuaries and rivers of the USA Pacific Coast where biologists have established several sanctuaries with enclosures to protect breeding colonies; nests consist of kelp, driftwood, shells, or rocks; eggs are well camouflaged. 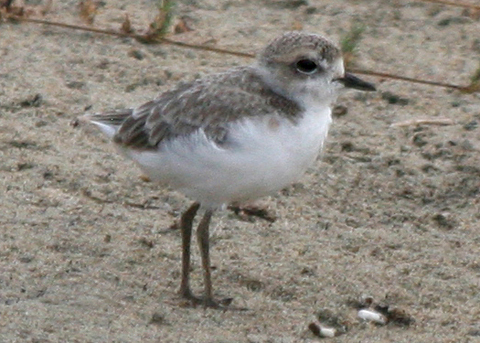 Formerly considered to be one of several geographic races of the Kentish Plover (C. alexandrinus).